There are so many recipes from my childhood that I now love to make for my own family! Many of those recipes are a hit with my kids, too. Anybody who has kids knows that's a big win! 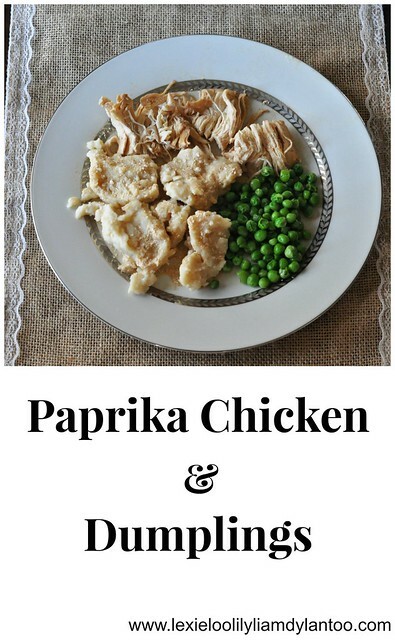 One of the dinner recipes my mom frequently made was paprika chicken over dumplings. It's now a comfort food for me! Although her Paprika Chicken still tastes better than mine (Why does that always happen? I swear she uses a secret ingredient that she refuses to tell me about! 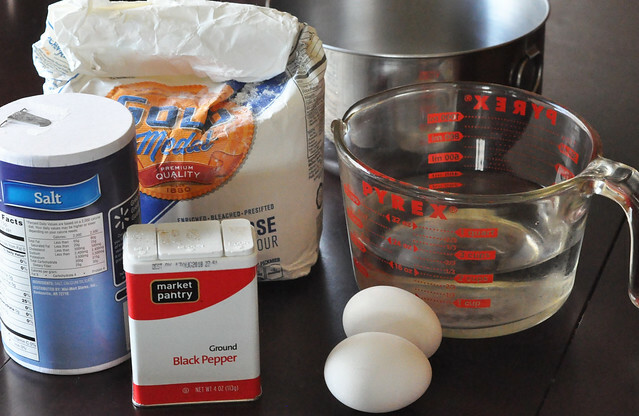 ), I've altered the recipe a bit over the years to accommodate my family a bit better. AKA, hello, Crockpot! I'm all about quick and easy these days! Cooking the Paprika Chicken in the Crockpot is really easy, but I'm not going to lie: making homemade dumplings is a bit time-consuming and messy. It is so worth it, though! 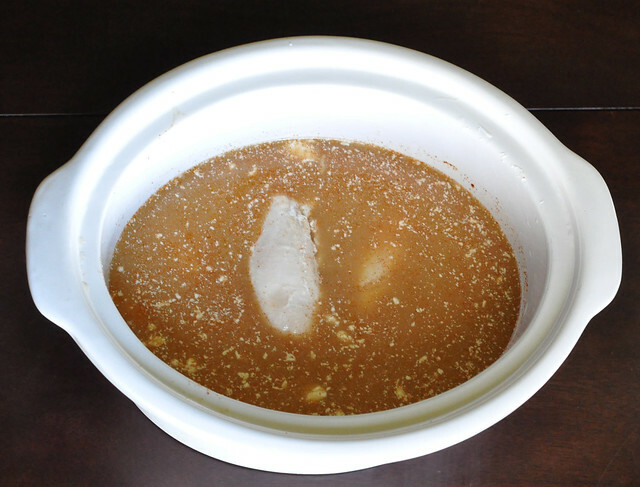 Mix broth, sour cream, and paprika in the Crockpot. I don't have a set amount of paprika. I just sprinkle it in until the sauce turns a light orange color. Add in the chicken breasts. Cook on low for 6-8 hours or cook on high for 4 hours. Just before serving, shred the chicken. 1. 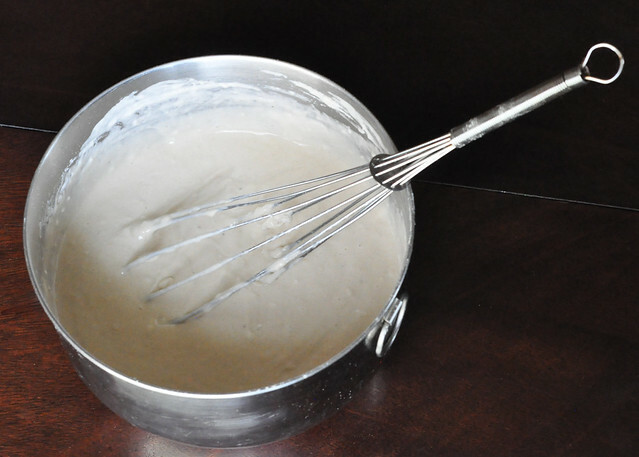 Crack 2 eggs into a mixing bowl. 2. Sprinkle in salt and pepper. 3. Pour in 2 cups of water. 4. 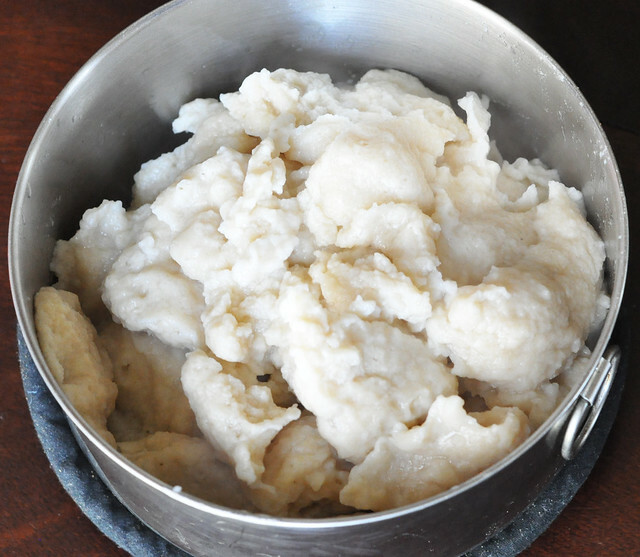 Slowly stir in flour until a thick dough forms. You don't want it to be runny! 6. Scoop out the dumplings with a slotted spoon and transfer to a serving dish. 7. Repeat, repeat, repeat! 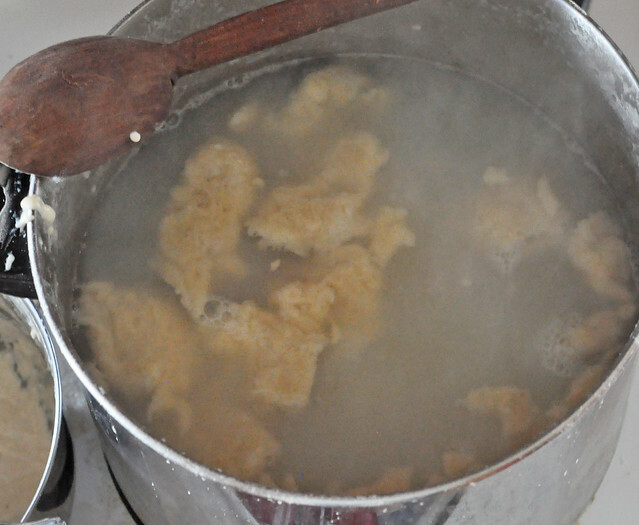 Continue to cook the dough by several spoonfuls at a time until all the dough is gone. It's messy, but like I said, it's worth it! 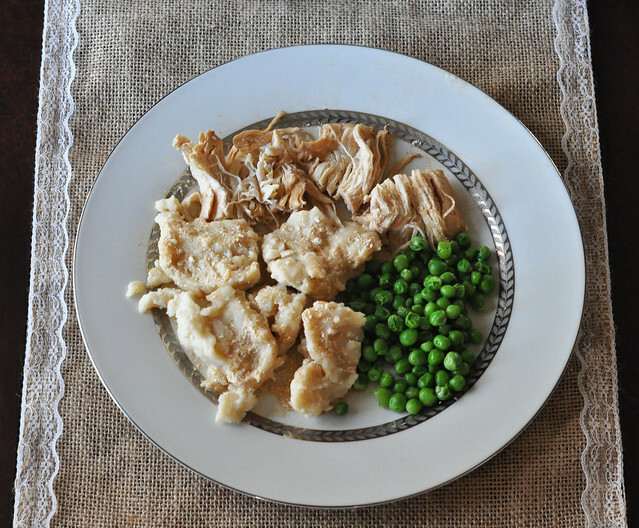 Once the Paprika Chicken is done and the dumplings are cooked, you can either add the dumplings to the Crockpot and allow them to cook for an additional 15 minutes, or you can just top them with the sauce. I've done both, but I typically serve them separately because my kids like to choose the amount of sauce. I always serve it with a side of vegetables or a salad. This is one of those meals that I make that gets devoured. We never have leftovers! What is your favorite meal to make for your family? Linking up HERE for the Family Joy Linky Party! Typically the husband is NOT a fan of the comfort foods, which makes me so sad) but I think with the addition of paprika, I MIGHT be able to sell him on this one!!! Just add a lot of paprika! Haha! Oh my, this looks so yummy and simple. I'm usually so lazy and add those pre-made biscuits...but this is a much healthier option. I'll be pinning this for sure. Thanks for the recipe, girlfriend! I only make homemade dumplings once every 4-6 weeks. Too much work! Haha! That chicken sounds yummy. I am a fan of anything in the crockpot. When we make dumplings I usually make the canned biscuit type, but I bet yours are way tastier! I love your burlap and lace place mats. Very cute! I've never tried the canned biscuit kind, but now I'm intrigued! Thank you-they're from the Target Dollar Spot! I love my Crockpot. I'm all for quick and easy meals! That looks so yummy! We will have to try it. :) Thanks for sharing. Everything about this sounds delicious! I will have to try it! Thanks for sharing! Ilove seeing what other people are eating!! I have a theory of why it tastes different than you mom’s. 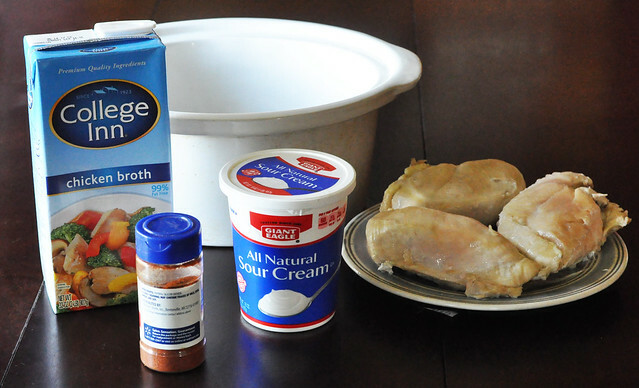 I find when I use the slow cooker for sour cream based food it changes the taste. Not bad, just different. Maybe it starts to break down in the long cooking time? That is a good theory! Maybe I will have to make it on the stove next time and see if that makes a difference! Thanks! I don't know how good I'd be at making dumplings but this looks really really good. I'm gonna have to pin that and try it sometime this next week! Thank you for sharing! I found your link on Family Joy Link Party.